Many precision farming websites have integrated the USDA NRCS soil survey database using the USDA Soil Data Access web portal. Precision farming websites use the USDA soils database as a foundation for understanding the types of soils found within a farmer’s field. Although the soil survey was created for “broad land use planning,” the soils information can help to answer precision farming questions. Unfortunately, many of these precision farming websites are searching for appropriate methods of using the data. For the precision farming community, this same soil data is available to the public via several public web portals and applications. The community has several web portals that are tailored to specific soil data uses. Web Soil Survey is the premier USDA website that allows users to develop a tailored soil survey manuscript. The USDA NRCS digitized the soil surveys to create a spatial and attribute database named the Soil Data Mart. NRCS, in conjunction with cooperators, have developed several free web portals to access the Soil Data Mart. These web portals provide users access to a wealth of soil information. The Soil Data Access web portal provides direct access for third-party applications allowing the precision farming developers to seamlessly integrate soil information into their websites. 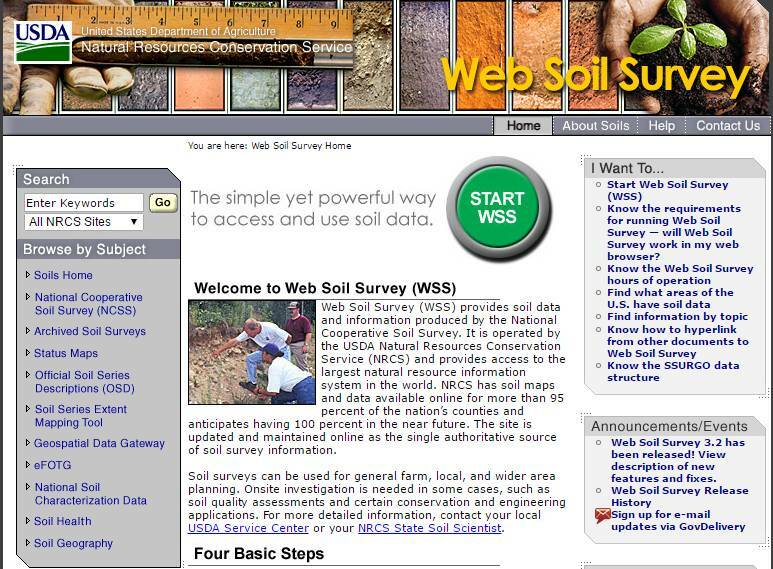 The Web Soil Survey portal is the premier USDA website that allows users to develop a tailored soil survey manuscript. SoilWeb is a browser and a smartphone app, created by University of California Davis staff, that has become the foremost field tool used by the precision farming audience. And, for those who use Google Earth Pro, the SoilWeb Earth KML file, created by University of California Davis staff, can be used to access the soil information. An 18-minute YouTube video is available providing an overview on the three most commonly used web portals accessing the USDA soils database. 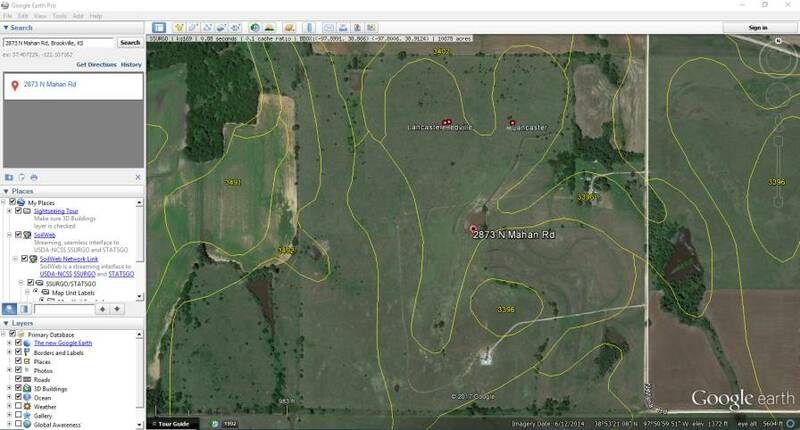 The Web Soil Survey was designed as a web-based Geographic Information System using Microsoft Bing imagery. Web Soil Survey allows the user to identify a specific area of interest, gather various GIS thematic maps, create a tailored variety of soil reports, and develop a digital soil survey manuscript. Web Soil Survey was created to replace the historical hard copy manuscripts. In partnership with NRCS, the University of California at Davis California Soil Resource Lab put forth repackaging the NRCS Soil Data Mart data to create a variety of user friendly tools. The most accessed site is the SoilWeb application. SoilWeb uses Google Maps technology. 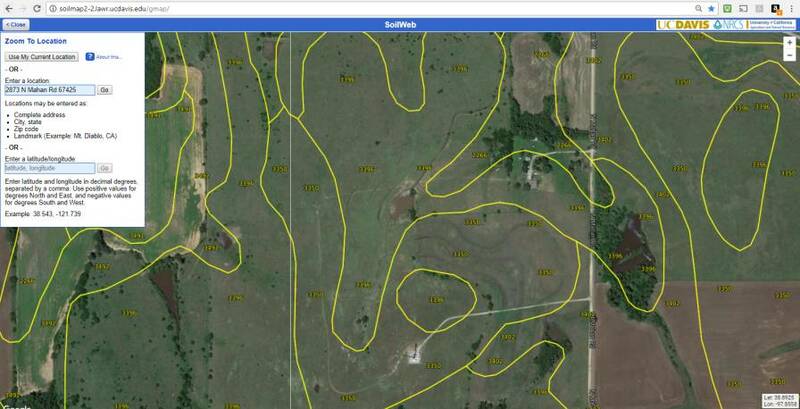 The SoilWeb application provides tools for web browsing, Google Earth Pro, and smartphone technology. SoilWeb is a browser and a smartphone app, created by University of California Davis staff, that has become the foremost field tool used by the precision farming audience. For the more sophisticated users, Google Earth Pro uses the SoilWeb Keyhole Markup Language (KML) file developed by the staff at the University of California at Davis California Soil Resource Lab. Google Earth Pro allows users the ability to include additional custom layers, historical imagery, create fly-through videos, time and animation, photo overlays, and the ability to view the landscape in 3D. Google Earth Pro is a resource for agronomists and consultants to develop quality products to assist the customer to understand the soil resource. Google Earth Pro KML delivers access to the soil sample locations used to assist in building the soil component properties. These analyzed pedons become visible if there are sites within the area as shown below on the Lancaster and Hedville points. Access to the sampled point data can help to identify specific soil properties within the specific locations. Google Earth Pro allows users the ability to include additional custom layers, historical imagery, create fly-through videos, time and animation, photo overlays, and the ability to view the landscape in 3D. A variety of tools have been created to provide users access to the soils data to meet their needs. These tools are available to us via our home computer or smartphone. There is a vast wealth of information contained within the Soil Data Mart database. The U.S. is the only country in the world with a coast-to-coast soil survey inventory. More than 97% of the private land is mapped with soil properties. Each tool accesses the same Soil Data Mart database, which is updated on an annual basis each October. Individually, each product addresses a specific need for a specific user. Collectively, these products provide the most robust and free access to the largest soils database in the world. 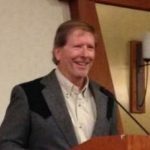 Paul R. Finnell, Sr. has over 37 years of soil survey operation and database experience with the Soil Conservation Service/Natural Resources Conservation Service (SCS/NRCS). Having mapped and correlated soils across the country has helped form his knowledge of the soil properties and how soils are interpreted across the nation. After 15 years as the NRCS National Soils Database Manager, he retired in January 2017 to open Prairie Hills Soils Consulting. His business goal is to provide value added products to help increase company profitability for those who use soils information in their planning processes. He spent 25 years as an agency instructor in soil properties and interpretations. His expertise is in working with clients to identify the soil properties necessary to add value to their engineering and agricultural products. Years of image analysis experience and intimate knowledge of the soil properties benefits companies that need to mine the Soils database and deliver specific interpretive value via company web based products. He uses his knowledge to help users overcome soil limitations to build solutions for their agricultural, pipeline, engineering, and wastewater needs. Visit prairiehillssoilsconsulting.com to learn more. See all author stories here.